The six villages within the Chaung Ma Gyi village tract are poor. 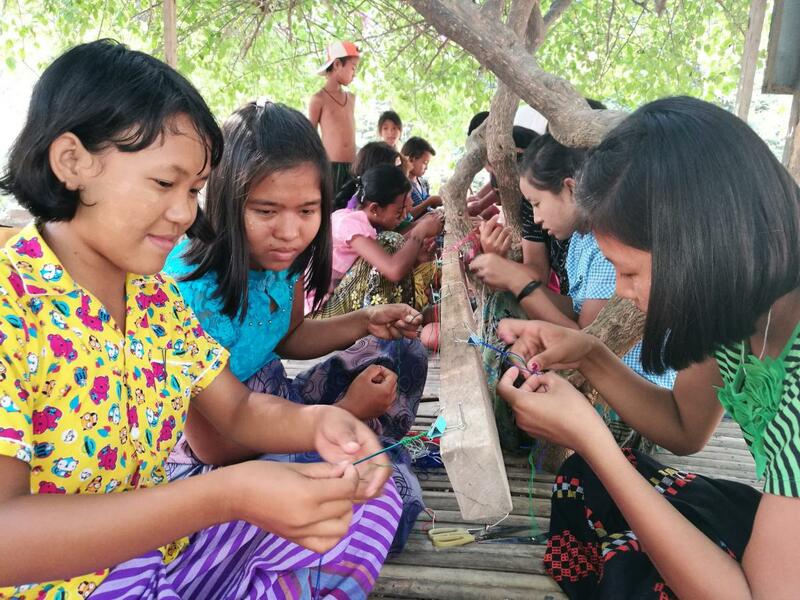 Logging and fishing along with some rice paddy cultivation are the primary sources of income for these small landholders living 45 minutes by boat from Mandalay. Poverty is rife and migration of young people and heads of households out of the communities is common. In many households, a key family member has gone to China to seek employment, making it harder on those who remain to run the households and ensure that the children go to school. 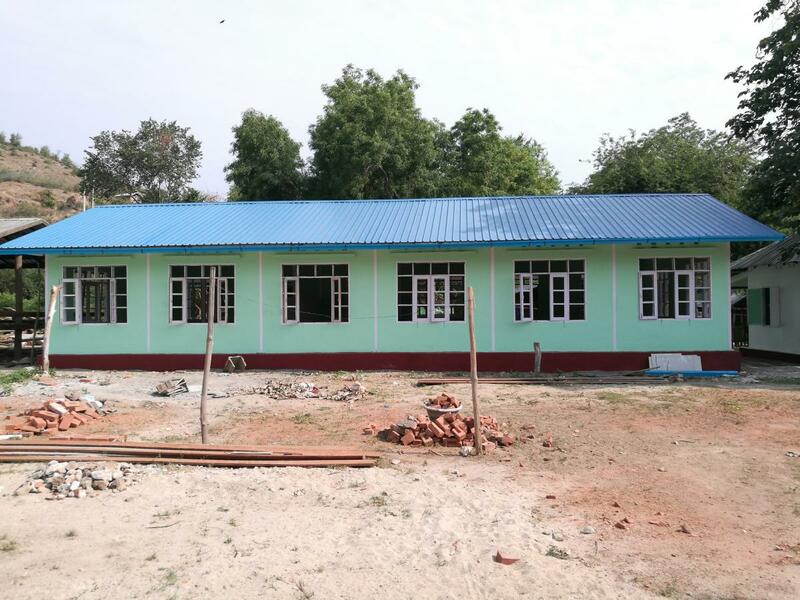 Since 2007, Mahasala Monastic Education has been providing primary school education (through 4th grade) here. Because that level of education is insufficient to open opportunities to the kids, the village sought help to build a middle school. 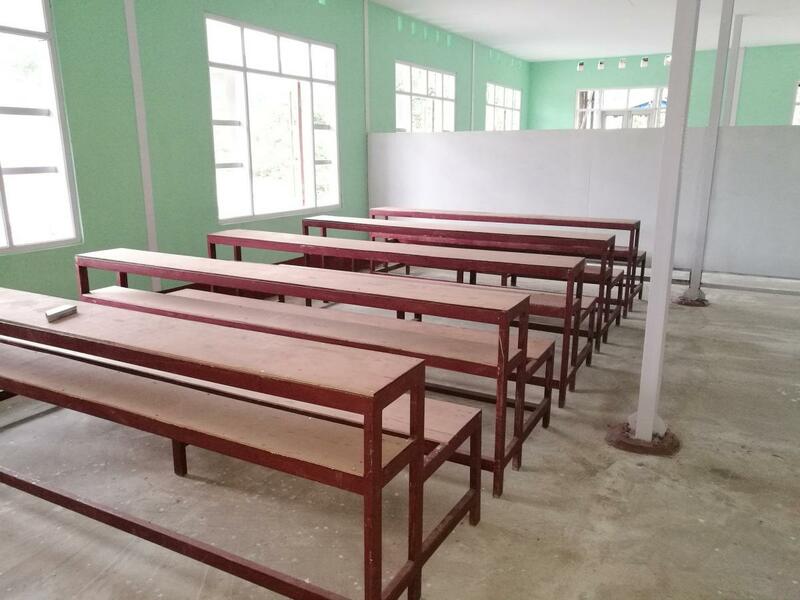 The 30’ x 60’ building has three classrooms and 20 sets of tables and benches to serve approximately 165 students. School opened in August 2017. 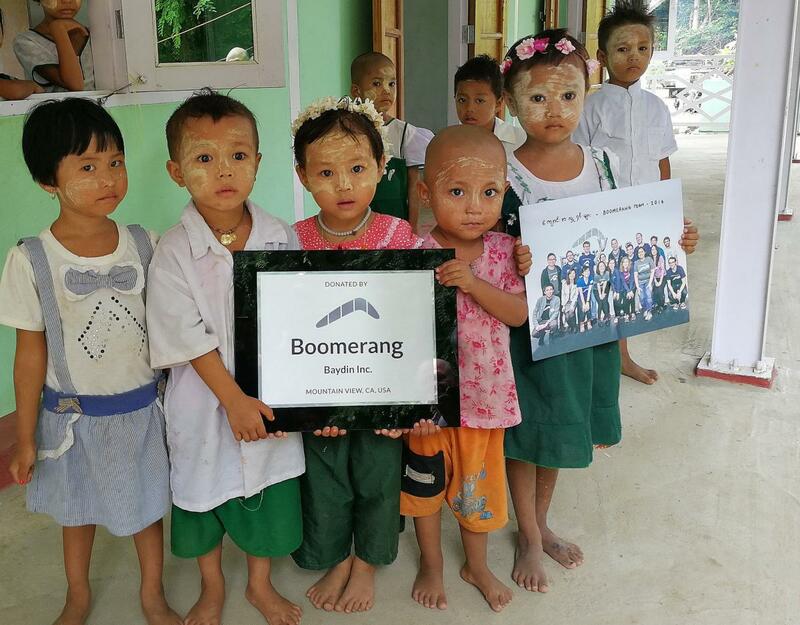 BSB and the people of Chaung Ma Gyi Village Tract are deeply grateful to Boomerang of Mountain View, California for fully funding this middle school building. Until recently this poor village near Mingun had no school. BSB partnered with a young monk to expand his small monastic school to a middle school. Mahasala Monastic SchoolUntil recently this poor village near Mingun had no school. BSB partnered with a young monk to expand his small monastic school to a middle school.